AND NOW, LOOK NO MORE. WE HAVE IT IN JAKARTA! Still mesmerized, I remember talking to myself back then in 2012, “It’s only about time that someone will actually bring this concept to Jakarta.” And I was right, in mid-2013 I heard about this new liquid nitro parlor called ‘LIN Artisan Ice Cream’, located very strategically in the center of Jakarta’s hippest hangout place for all ages – Kemang, just right under Umbra Bar & Lounge. It has a modern raw décor concept with clean, spacious and bright pastel colors warming every sight. Love love love. 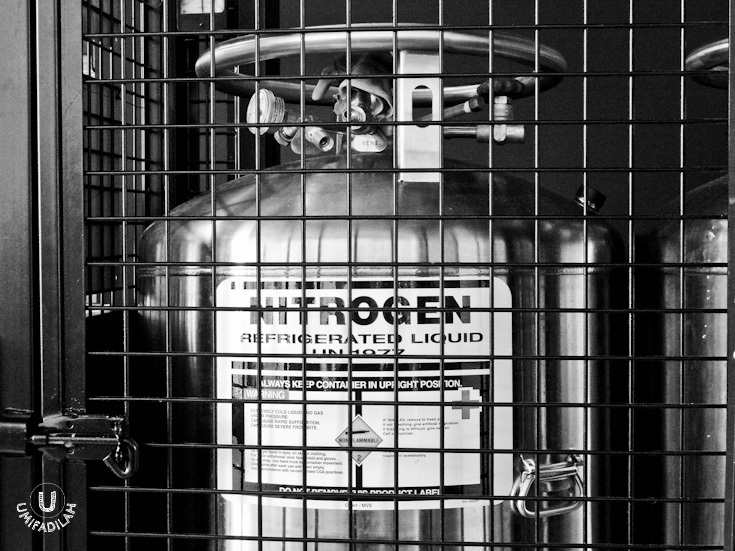 LIN, short for LIquid Nitrogen, is founded by Astrid H.W. She learnt the whole molecular gastronomy technique especially on ice cream in the United States, and ever since, she did lots of research before started working on her Italian-inspired recipes for both gelato & sorbet. 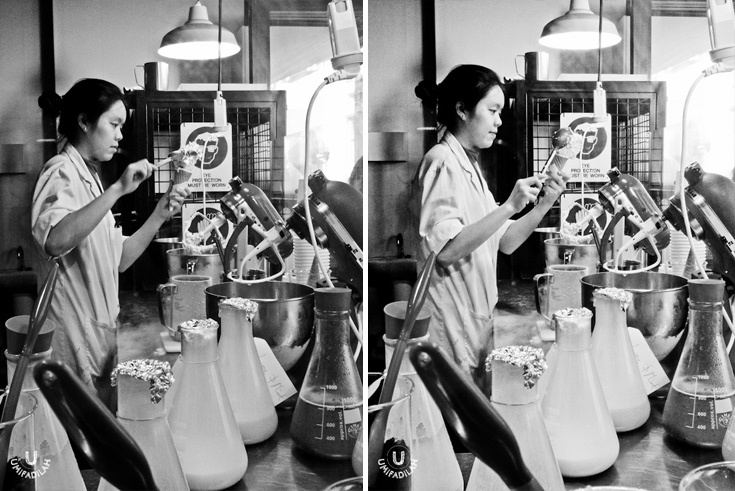 Astrid is also the founder of Papabubble Caramels Artisan that just opened their business in Grand Indonesia last year. 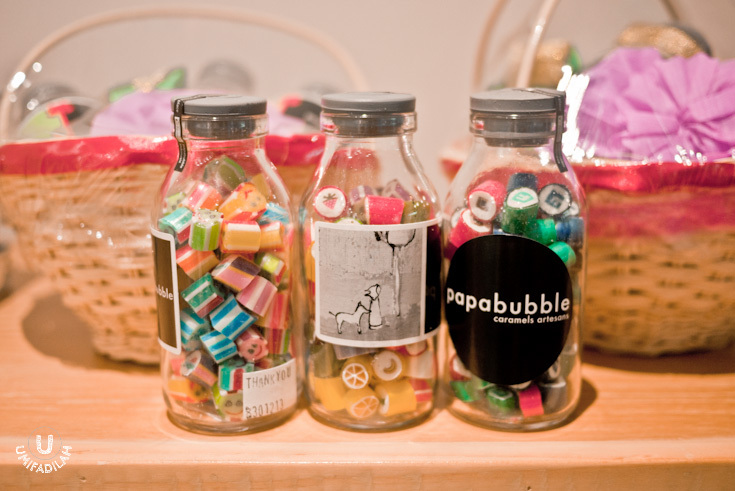 The difference is, Papabubble is a world-known candy shop franchise from Barcelona, Spain (– yes, who would have thought of bringing them to Jakarta? Bold move! 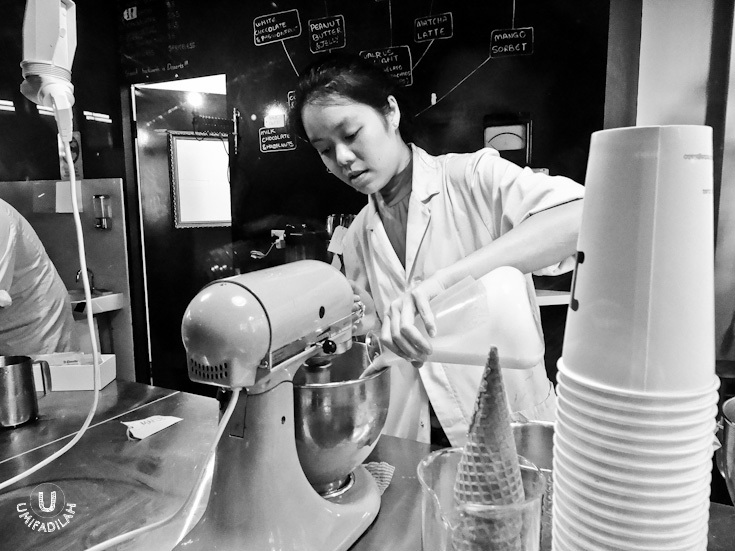 ), while LIN Ice Cream is an entire independent new concept that she started on her own. 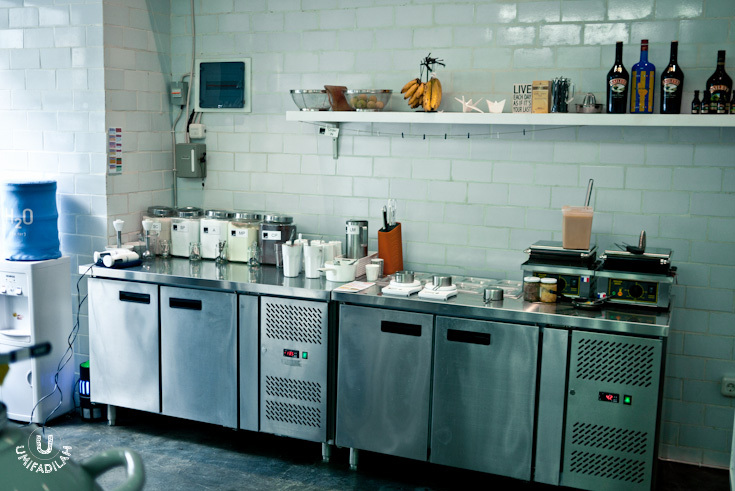 LIN offers 2 type of ice cream: Gelato (+milk) and Sorbet (without milk; usually for fresh fruits). There are over 7 gelato menus and 5 sorbet menus that you can choose of: Tea Essence Aromatic, Vanilla Choc Rice, Cheesy Cheese Strawberry Bites, Frozen Espresso, Ultimate Chocolate Choco Chips; and Lemon/Banana/Strawberry/Passion Fruit Sorbet. Whenever you’re feeling adventurous you can also try their alcohol-contained ice cream such as Rum & Raisin, Smiley Baileys, and Beer Pong Ice Cream. All priced IDR 36k – 39k, except for the alcohol version, starts from IDR 59k – 69k. Lemon Sorbet, IDR 39k. Who cares if it wasn't using imported lemons? Local lemons work just as fine, and boy, this one totally caught me on my first lick. Snap! It's like snowy sorbet, with strong hint of lemon flavor. No wonder this one's a hit! Merry Strawberry Sorbet, IDR 39k. Did you see the fiery red color? Photoshop didn't do that much of a trick - it has an ultra bold color because of the amount of fresh ingredients it uses. 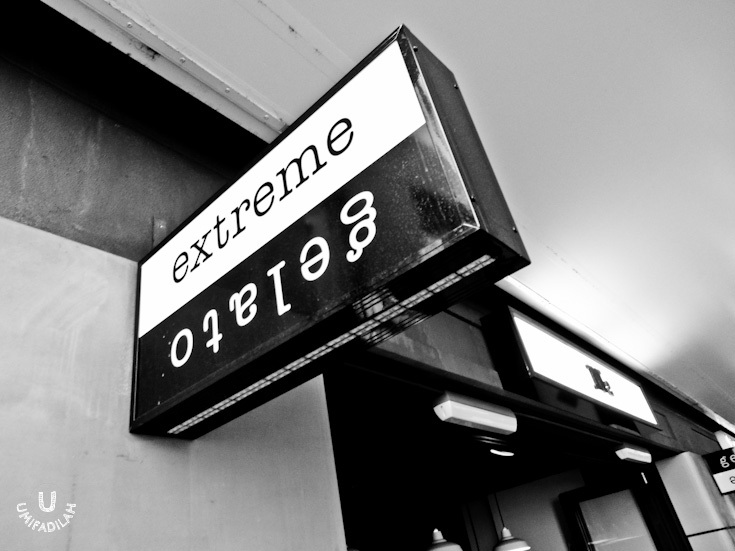 But next time I'll make sure to tell them: "Less sugar, please" - then everything's going to be perfect as it is. Ultimate Chocolate Choco Chips, IDR 39k. Funny thing about this one, I honestly wished that they didn't include the choco chips at all - for me, the chocolate ice cream alone already stands out for itself. It's like eating frozen chocolate drinks; the texture's a little bit light, hence the runny appearance overall. Cheesy Cheese Strawberry Bites, IDR 39k. THIS. This is by far my most favorite gelato flavor - ONLY if I told them to lessen the sugar amount. That way, the taste of the cheese will stand out more (I put my bet on Mascarpone cheese, since it's Italian recipe :p). And the addition of strawberry chunks at the of mixing process, adds more texture & overall flavor. Really nice. Smiley Baileys, IDR 69k. Served with waffle (waffles can also be bought as separate additional items for IDR 20k), and made from real Baileys. Didn't try this one out, but all of my friends said that this was THE HIGHLIGHT. Go figure. Affogato, IDR 62k. Warm bitter espresso poured over vanilla ice cream. I'm always loving Affogatos wherever I go, and same case goes with this one as well. Loving their hot-&-cold/sweet-&-bitter relationship that creates a harmony together. If you’ve never tried N2 ice cream before, at first you might get quite shocked on how the texture is, compared to the conventionally-frozen ice cream. The high-speed process of mixing the ingredients vs. the slowly-added liquid nitrogen resulted in a super smooth texture unlike any other. Expect no ice crystals at all. It feels rich, dense, but also airy & fluffy at the same time. Squid + Prawn Balls, IDR 22k. Fish nuggets & chicken nuggets. IDR 22k. Good thing is, the whole concept of LIN is all about ‘Artisanal’, means that every cup of ice cream tells a different story. Today’s flavor might be sweeter than yesterday’s – depending on the quality of their everyday-ingredients available from the market – and vice versa. You can adjust your level of sweetness too (which is important for me, I love my ice cream to be less sweet than usual). More ideas? ... Let me know!